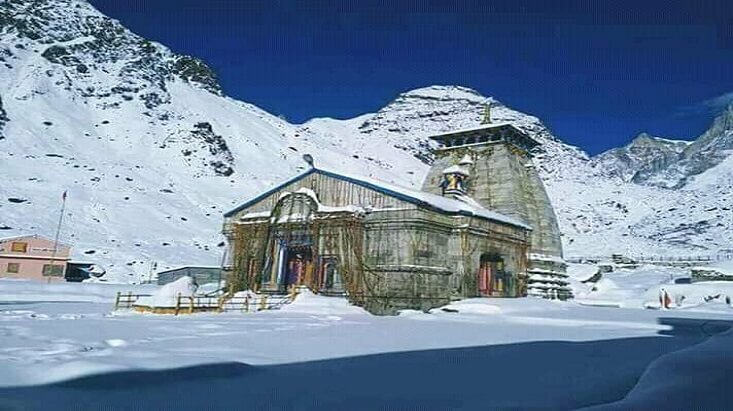 The Uttarakhand Char Dham, also known as the Chhota Char Dham, holds a great religious significance for Hindus all over the world. 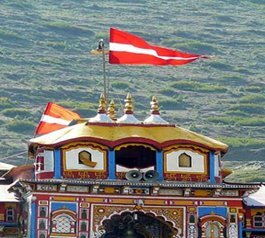 Considered to be one of the holiest religious circuits in India, the Chardham Yatra, is also a challenging expedition in India owing to high altitude and arduous trekking routes up till the four shrines. 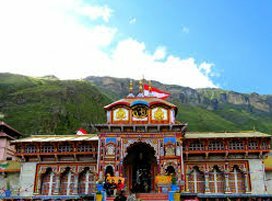 4 Dham which means the four holy abodes of the almighty, evidently comprises of four pilgrimage destinations namely, Yamunotri, Gangotri, Kedarnath, and Badrinath. Seated in the lap of Garhwal Himalayas in the state of Uttarakhand surrounded by immense scenic beauty, the CharDham not only offers salvation from the cycle of life and death, ‘Moksha’ but also helps in finding inner peace and the meaning of one’s life. Every year thousands of pilgrims from across India and different parts of the world take part in this soul liberating 4 Dham pilgrimage tour that begins from the end of April and concludes in the autumn month of October/November with full-fledged rituals. 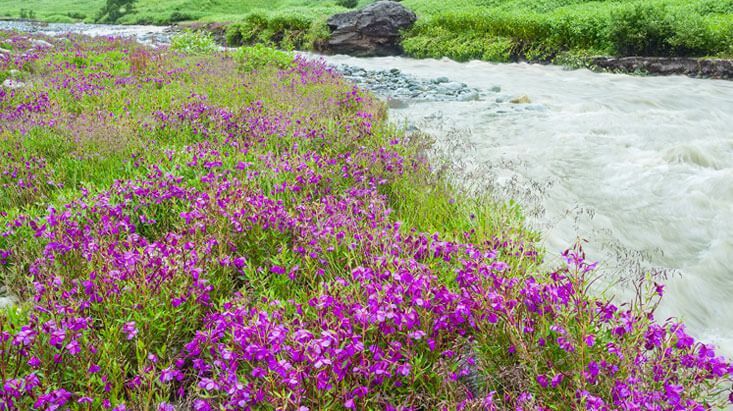 Amidst the bucolic settings, seat these four holy destinations connecting you with the Supreme Power as well as nature. Still offbeat in terms of route and facilities, this spiritual trails lead you to surreal dales and heathlands, each has a view to die for, there is a constant adventure of camping under the star-lit sky; trudging routes that can be crossed one person at a time, and intermittently being challenged by moody weather. Truly, your devotion and determination get paid well with a secret power guiding and safeguarding your journey to these sacred destinations. 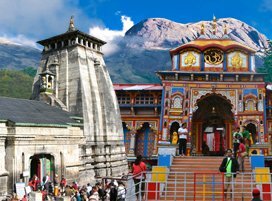 The sacred Char Dham opens between April end/ May start and October/November before it closes for next six months in winter. 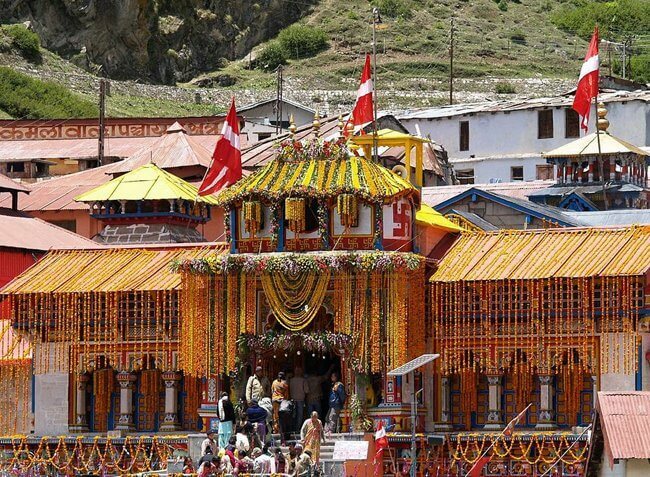 Chardham Yatra 2019 will be flagged off with the opening of the portals of Yamunotri and Gangotri Dhams on May 07. 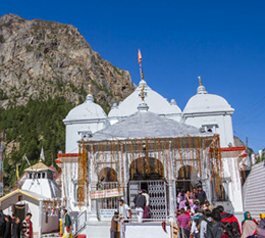 Come and seek the blessings of Lord Badri, Shiva and Goddess Ganga and Yamuna in the heart of Uttarakhand with our variety of Chardham tour packages that range from Ek Dham to all four abodes of the holy ones. With our selective pilgrimage tour, rest assured to have an unforgettable journey through the Land of Gods and pristine nature. 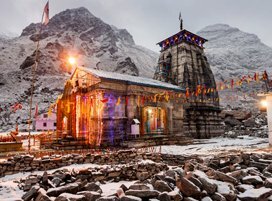 While your prime comfort experience will be at the feet of the Supreme one, there are numerous pit stops in the form of budget and luxury hotels, camps, homestays and guest houses offering you the much-deserved relaxation as you prepare for the long hours walk to the portals of the Gods during Chardham Yatra. It has become very difficult for people these days to get themselves a break of 10-15 days from their busy schedules. For such pilgrims, who have a very limited time in their kitty, helicopter services can be a good choice enabling them to cover the char dham sites in shortest span of time. Besides saving lots of time, the helicopter tours also give you an opportunity to witness the natural beauty of the magical landscapes from a different angle. 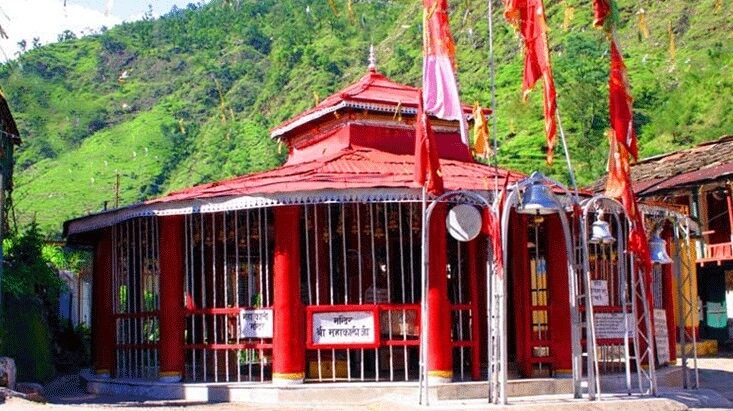 For Yamunotri, chartered helicopter services can be booked from Sahastradhara in Dehradun till Kharsali, from where pilgrims need to take pony rides up till Yamunotri. For Gangotri, chartered helicopters ply from Kharsali to Harsil, from where Gangotri is just 30 km. drive away. 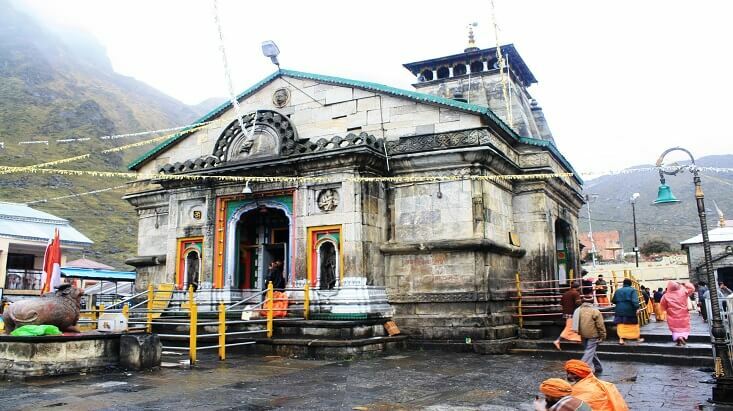 Kedarnath and Badrinath can be reached through helicopter services available at Phata near Guptkashi. 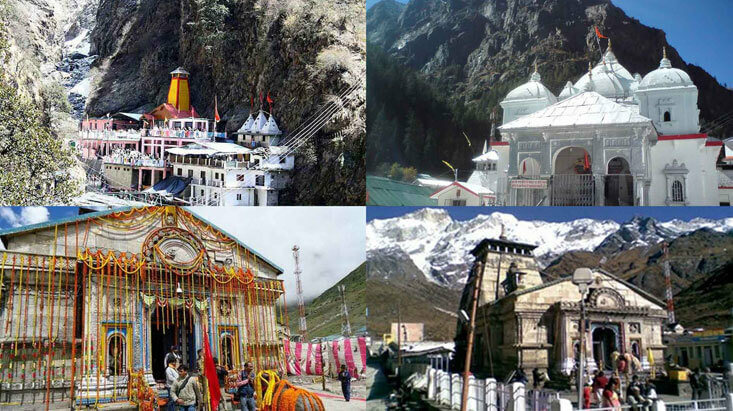 We can provide you with best deals for the char dham packages combined with helicopter services. The booking are required to be done well in advance due to limited availability of seats. 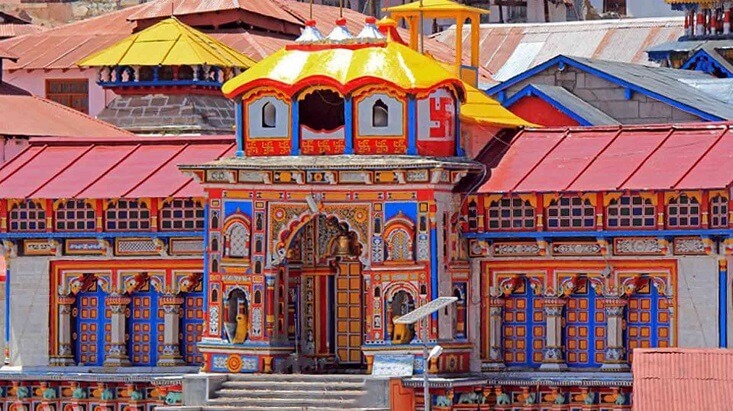 The Char Dham Yatra route is always bustling with a variety of accommodation options ranging from lodges, GMVM tourist guest houses, budget hotels to 3-4 star properties. Luxury hotels and resorts are very limited in these hilly areas. 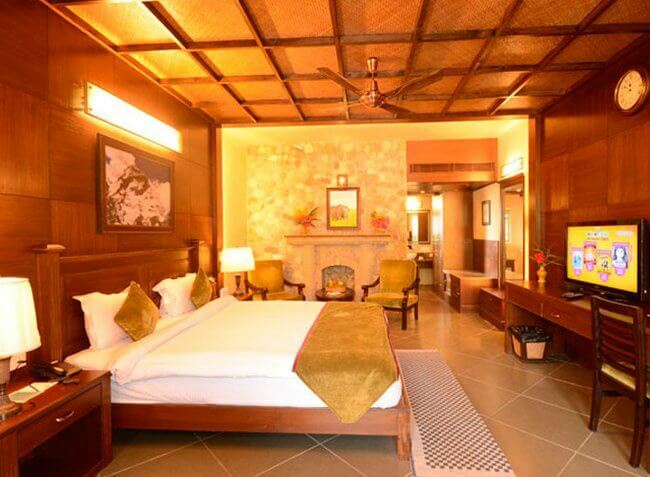 Besides the normal hotel stay, if you wish to soak your spirits in ample serenity and take in full pleasure of this soulful and sanctified journey, then the best option is to stay in luxury camps that are built amidst tranquil settings and provide ample peace to your fatigued souls. These camps are set up in Barkot enroute to Yamunotri, Harsil enroute to Gangotri, Gupt Kashi enroute to Kedarnath and Joshimath enroute to Badrinath. 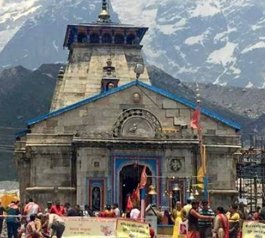 All the pilgrims commencing with the char dham yatra are required to undergo a biometric registration process under which they will be issued with biometric cards also known as the ‘Yatra Pass’ or ‘Yatra Permit’. 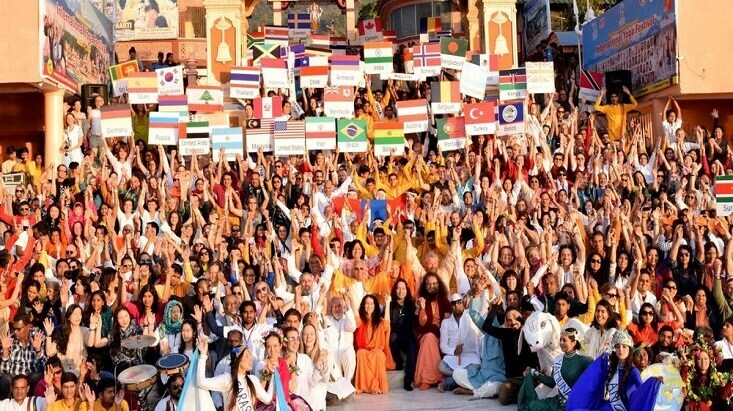 The registration can be done at the yatra offices in Haridwar, Rishikesh or Tapovan (Tehri District). With the biometric registration, government also aims at maintaining a check on the number of pilgrims entering and leaving a shrine through a GPS-based monitoring system. This will help the government to plan for safety measures for the pilgrims at a given point of time just in case an emergency situation similar to flash floods of 2013 arises again. If you plan to trek to Gaumukh or further up to Nandanvan or Tapovan from Gangotri, special permissions are required to be taken from the forest department in Uttarakhand. 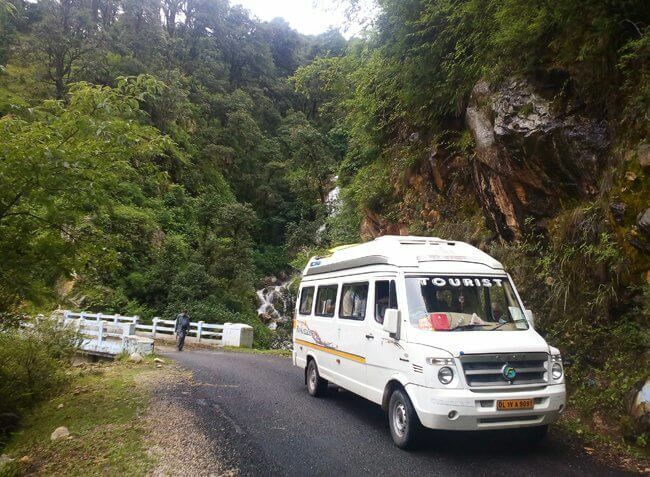 Uttarakhand state run buses and private deluxe & luxury coaches regularly ply from Haridwar, Rishikesh and Dehradun for the holy Char Dham Yatra. From the same locations, taxi services can also be hired from private taxi rental services operating in the area. 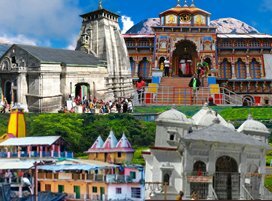 If you wish, you can also opt for chartered helicopter services for a tour to the four sacred dhams, details of which are given in one of the sections below. 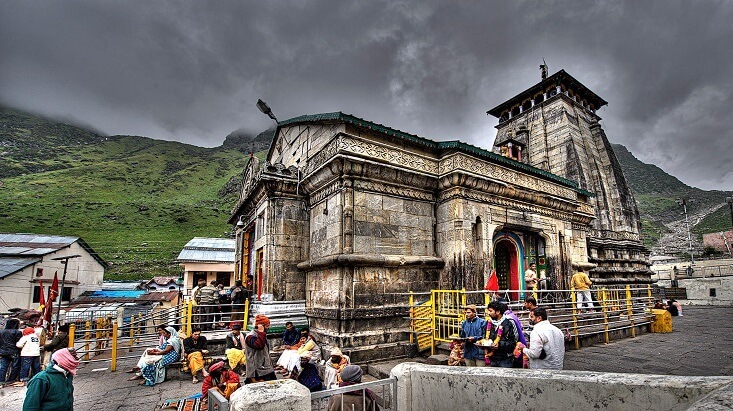 The ‘Char Dham Yatra’ is one of the most sacred pilgrim tours for Hindus and is believed to wash away all your sins of present and past lifetimes. As per Hindi mythological beliefs, commencing on the ‘Char Dham Yatra’ at least once in lifetime relieves you from the vicious cycle of life and death, thereby helping you attain salvation or ‘Moksha’. Besides mythological reasons, there are many scientific and medical reasons associated with the significance of this holy pilgrimage tour. 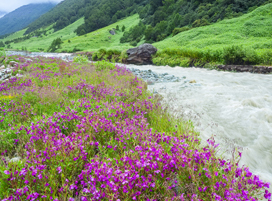 Since, all the sacred shrines are located in higher mountainous regions, a trek to these destinations in a year helps a person attain fitness and physical stamina which is also very important for a healthy mind and heart. 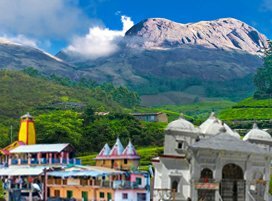 Secondly, the abundant natural beauty comprising of lofty peaks, gurgling rivers, sparking waterfalls and serene lakes enroute to these holy sites, help a person feel relaxed and rejuvenated, thereby regulating the neurotic senses. Besides these, the whole atmosphere sanctified with enchanting of mantras and shlokas brings a lot of positivity which in turn regulates various body hormones, pulse rate, and heartbeat. The journey for the Char Dham Yatra begins from the holy city of Haridwar either taking you via Rishikesh or Dehradun-Mussoorie routes. 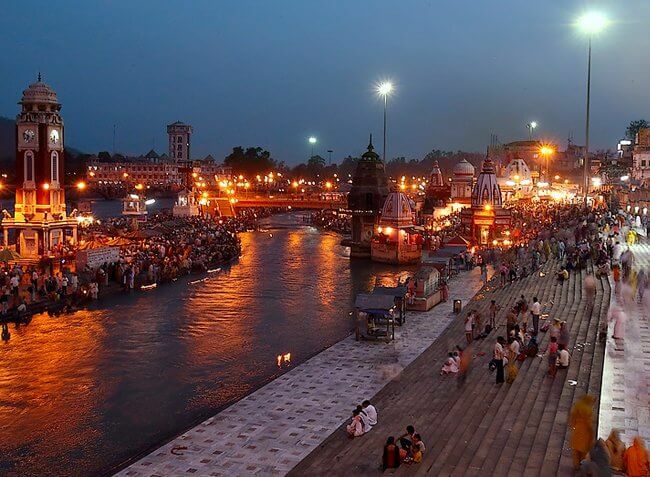 Make sure to start this pious journey by taking a holy dip in the waters of sacred Ganges at Har-ki-Pauri in Haridwar. 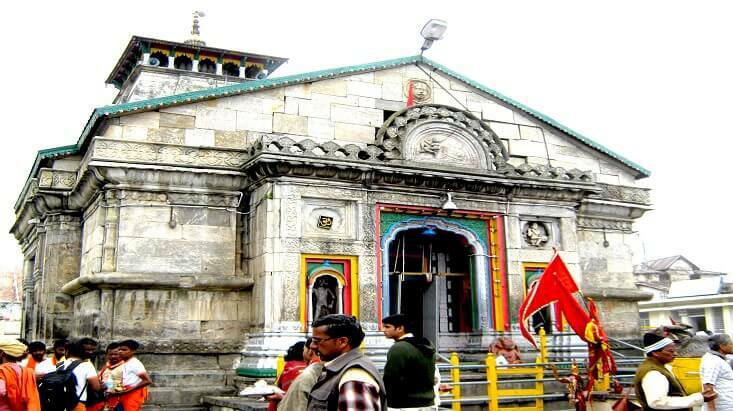 Also, pay homage at the Mansa Devi and Chandi Devi temples where the wishes of devotees are believed to be fulfilled. If you are taking the Rishikesh route, get the blessings of Lord Triambakeshwar and Neelkanth Mahadev at the respective temples or feel the essence of spirituality by soaking your souls in the echoing sounds of hymns and prayers during the captivating Ganga Aarti at the Triveni Ghat. 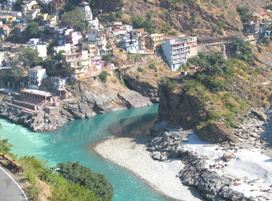 At some distance from Rishikesh, awaits Devprayag to offer the scenic view of merging of rivers to form Ganga. 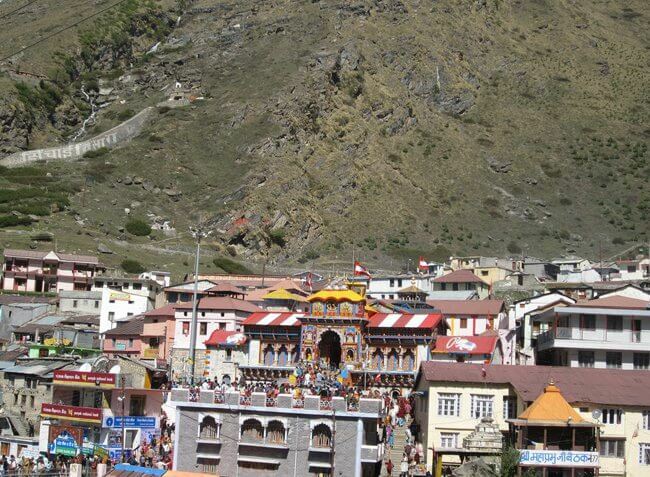 The Chardham route is replete with picturesque and sacred destinations, both create a view to cherish. 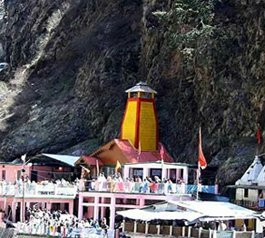 You have the opportunity to sight the mouth from where River Ganga originates in Gaumukh, and also witness the winter seats of all four deities in the form of Ukhimath, Joshimath, Mukhba, and Kharsali. 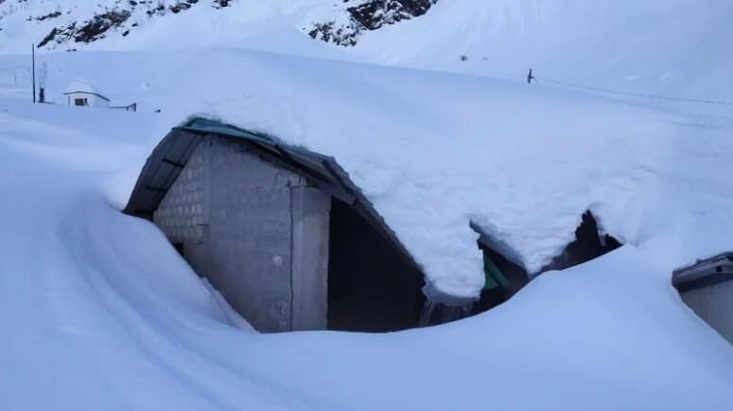 There are sights like Auli that is a getaway for relaxation and rejuvenation, and then there is also a chance to see the last village of India, Mana. 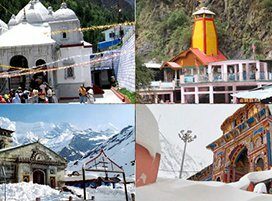 The Panch Prayags, the high-altitude Vasuki Tal, the ancient and mysterious Gupt Kashi, and the offbeat Madhyamaheshwar are some of the destinations that surround the Chardham destinations in Uttarakhand.